Nidec Sankyo has been an industry leader in card reader solutions for over 35 years. Our commitment to quality, reliability and expertise has shaped our technologies to match the needs of an ever-changing market place. Through our close association with customers the world over, Sankyo card solutions have helped set the standards in many applications including ATM’s, POS terminals, kiosk terminals and other financial terminals. Nidec Sankyo offers a complete line of motorized and manual card readers including EMV chip card solutions and PCI PTS certified models. We also offer many options in gift and loyalty card readers/dispensers. 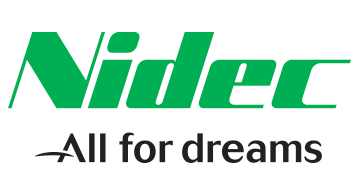 Nidec Sankyo is ready to take the next step forward. We lead the advancement in development and design of magnetic heads, motors and core components. Debuting its appearance in the NFC world in 2015, Nidec Sankyo now offers NFC and contactless reader solutions that support all major card associations as well as smart phone applications including Apple Pay and Android Pay. Branching out into new industries, our applications are growing to cover security and ID applications. New designs emphasizing reliability and security are built-in to each of our passport, ID and driver license card applications. We can adapt our technology to suit the customer’s goal and create real value in the end product. We seek to internalize the philosophy of innovation with our company slogan, “All for Dreams”. If you need a reliable product with the latest capabilities, remember the leader in the industry, Nidec Sankyo.